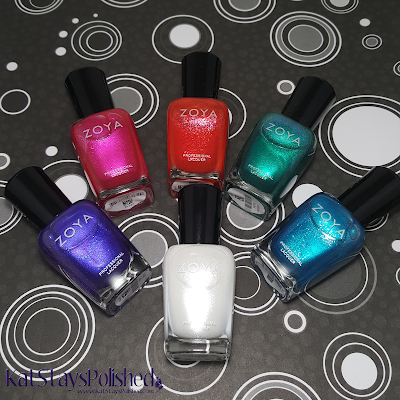 Ready for Zoya's second summer collection? Get ready for some Paradise Sun! All of these have a metallic, pearl-like finish. Different for summer and a little refreshing. Genesis is described as a crystalline white with a micronized metallic pearl finish - designed to look like micro-fine diamond dust! 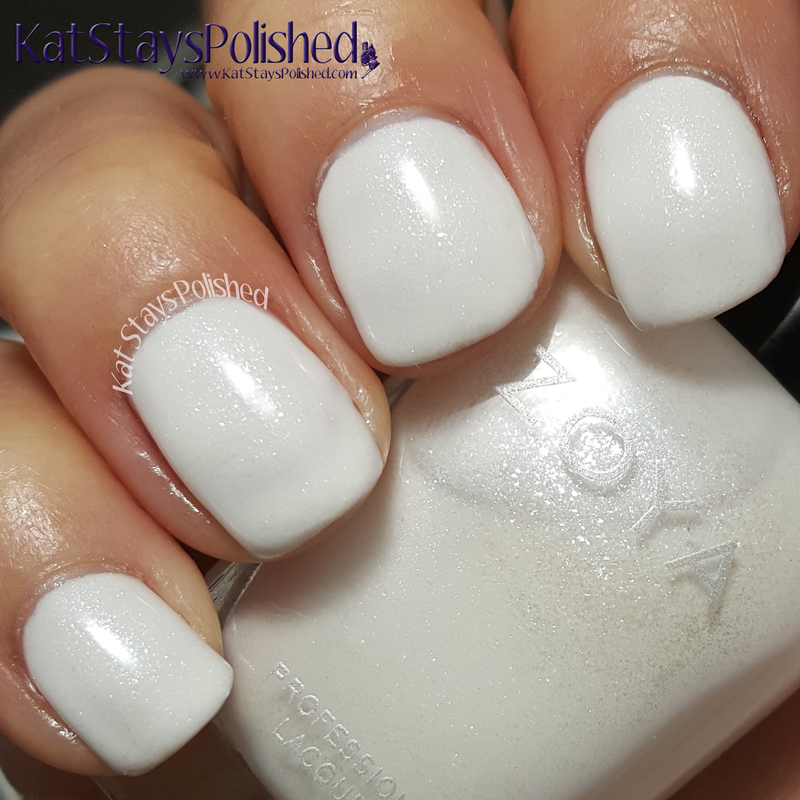 This shade required 3 coats because you could still see a few patches through the white with only 2 coats. I used thin coats and then topped it off with top coat. I like it but I feel like it would be more appropriate for the winter. Mae is described as a warm magenta pink metallic with a pearlized finish. I actually really enjoy this one. Pair it with Nana for the perfect accent nail. This is 2 coats and top coat. 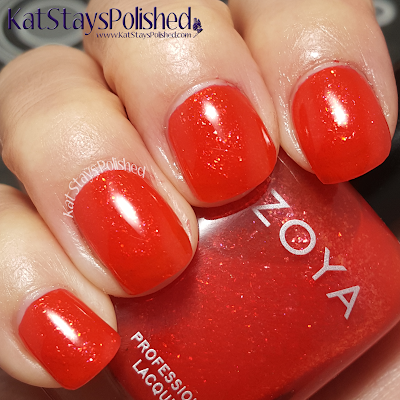 Aphrodite is described as vibrant summer red. After applying my 2 coats, it was good to go. I added top coat and was on my way! It looks almost syrupy, not metallic and pearlized. I like it better that way. Selene is described as a true teal with a micronized metallic pearl finish. 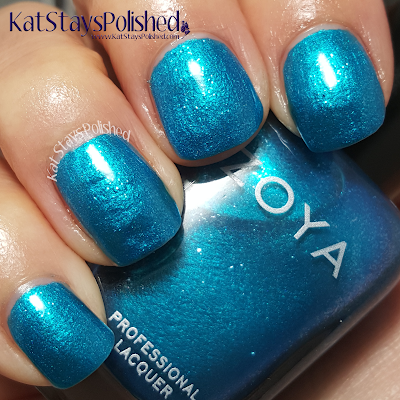 A unique shade with an aqua fleck that resembles deeper layers of ocean water. There is a possibility of staining with this one because of how pigmented it is. Be sure to take precautions when applying this shade. Shows is 2 coats with top coat. 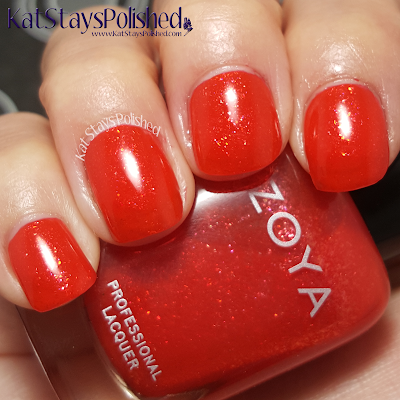 I love this color and it's perfect for that beach day outing! Oceane is described as a true turquoise with a micronized metallic pearl finish that reflects the clearest blue ocean waters! 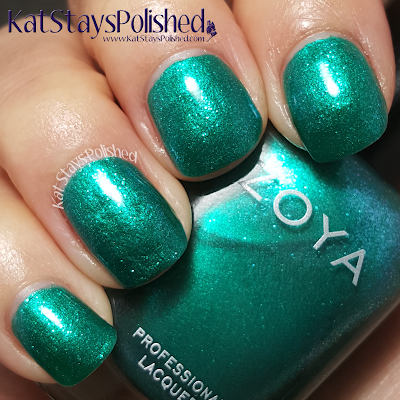 This shade is so gorgeous and definitely resembles the ocean. I'd recommend wearing a ridge filler base underneath if you have bumps on your nails. Or, simply buff them away. Isa is described as a deep blue-based purple with a micronized metallic pearl finish and an aqua flash that embodies the beauty of exotic island flowers. I am in love with this color! I applied 2 even coats and a top coat. I love how the color shifts in different light. 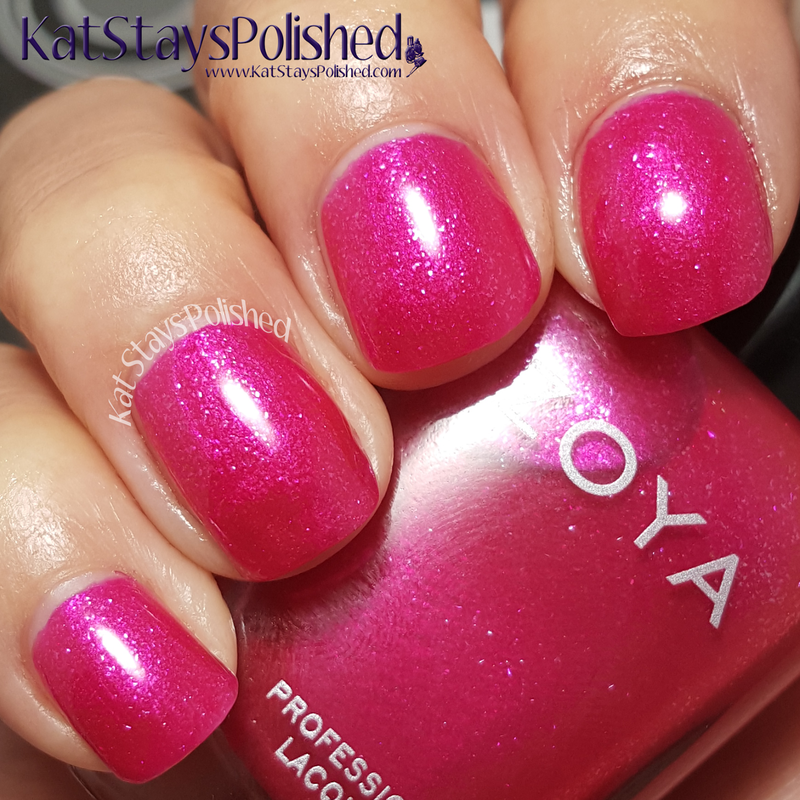 I highly recommend getting this shade if you're into color shifting polishes - even if it is subtle. These shades are available now at $9 a piece or you can get the 6-piece sampler set for $54. Oceane is gorgeous! Thanks for the beautiful swatches! Gorgeous collection! I am drawn to the purple shade. I've got Aphrodite on as we speak! Love these! Selene reminds me of my favorite Giovanna. These are so pretty! I like turquoise and purple year-round! 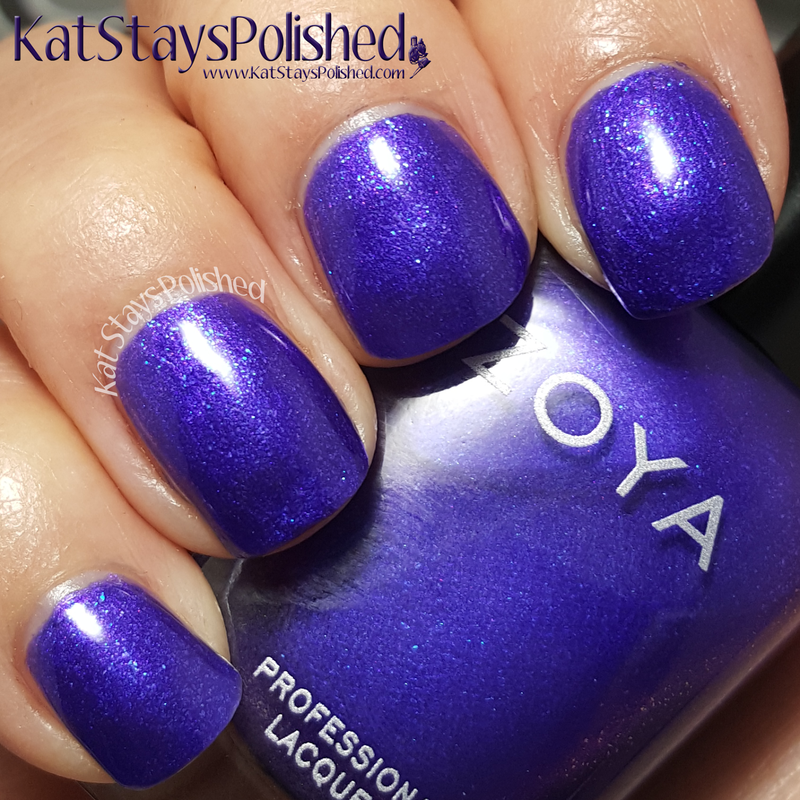 Oooh Isa is such a beautiful purple! They're all so perfect for Spring and Summer! Great swatches! I've heard there's some issues with the white being kinda thick, and some of the polishes staining... but they are so pretty, I will probably get some of them anyway. These are so pretty! Like Summertime in a bottle. Love the metallic finish and subtle glitter on these. I need to wear at least 1 of this collection if not more. 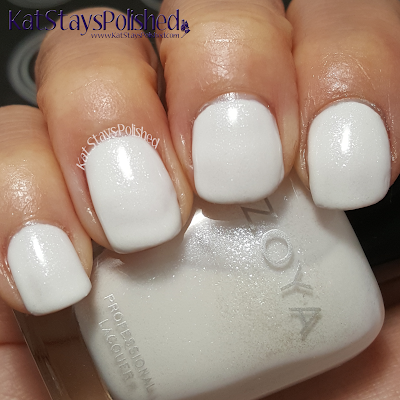 Ahh ... even though I already own a white zoya polish, I need that white polish. It's beautiful. These are so sparkly and fun! Such a great nail colors. I like the sheen since it makes your nails pop. Selene and Aphrodite are my faves!! Lovely swatches!! !